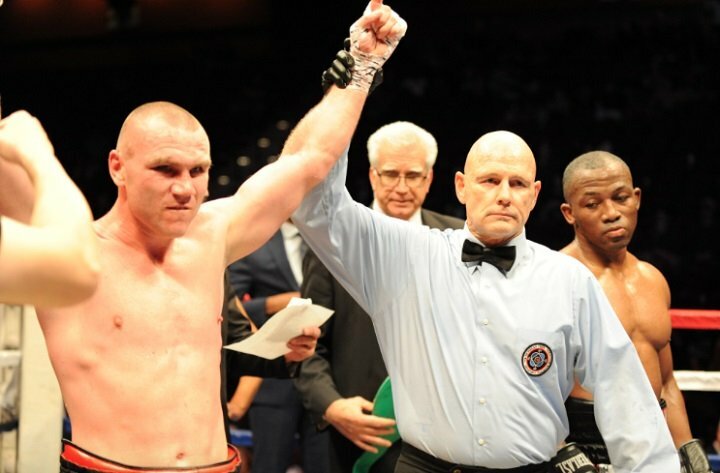 Bejenaru came away with a unanimous decision victory over Mchunu, the mandatory challenger, defending his WBC International title successfully. The bout often times saw each fighter playing the game if cat and mouse with one another. There was a brief explosion by Bejenaru in round 7 as he dropped Mchunu with a picture perfect left cross but Bejenaru couldn’t capitalize on his opportunity to knockout Mchunu. In the end the scores were 98-91 and 97-92 twice, all in favor of Bejenaru who improves to 13-0 3KO’S while Mchunu drops to 18-4 11KO’S. The semi-final saw a shocking result as previously undefeated Queens, NY native Daniel Gonzalez suffered his first defeat as a pro at the hands of Framingham, MA native, Danny O’Connor in a bout scheduled for 10 rounds with the vacant WBC International Silver Super Lightweight title at stake.